Can anyone tell me whether this should have been a call or a fold? Presumably if known you'd follow the charts, but if you don't know what would you have done? My read was that he was stealing but as I'm stuck on a mobile device for now there is no HUD info or anything to help out.. If anyone would like more information about payout structure or anything like that let me know. Oh and like Columbo, one last thing; can anyone direct me to a source of reliable ICM charts please? Preferably as digestible as possible for muppet-features here! Thanks all & peace out! Similar Threads for: ICM push/fold ITM? That’s an instant call. What are you waiting for? A KJ suited? Also, this is MTT, dont't think that ICM is even needed here. You are just to short to fold from BB here. ICM is definitely needed in MTT's however only really needed at or near the final table, also at the bubble as well. This is a clear call. Surprise fact here, you're actually calling 100% of your range with 3.5 BB's facing a shove from the lojack. re: Poker & ICM push/fold ITM? Why's that? We need 33-34% maybe...Why 72o? Kx is a call, but why with 43o, 74o? I will fold let's say 15%...Call with 85%. If I can win some money (4-5 players to the next pay out), I will fold even more. can anyone direct me to a source of reliable ICM charts please? You must understand this "ICM", you can't learn it. See there, if you call, this will be 12 000 pot, right!? Close to that...You have 4 000. Well, 33-34% equity needed. Almost any hand. Because he probably don't raise , like that, with AQ, QQ. If there are 3-4 players before ITM, you need more , than 33%. Maybe 37%, 43%, even 50%. Depends on the pay out structure. Maybe there is some very small stack on MP, UTG...I mean on other tables. the information that isn't concrete is a lot of If's. If there is a short stack, if pay jumps soon. we don't have that information so I was operating on the grounds as if none of those things were the case. I should have asked OP before commenting. Call with ATC there can't be "mistake". Some freeroll... But 72o is - ЕV. Yeah, we are on SB next hand. Half a blind + ante with 100% range. This is also -EV (that's why "we" call 100% on BB). But the players are so weak. You can play even with 3 blinds stack . Profitably...I mean without ICM. With ICM, 72o already is clear fold. I didn't see that. You are right then. 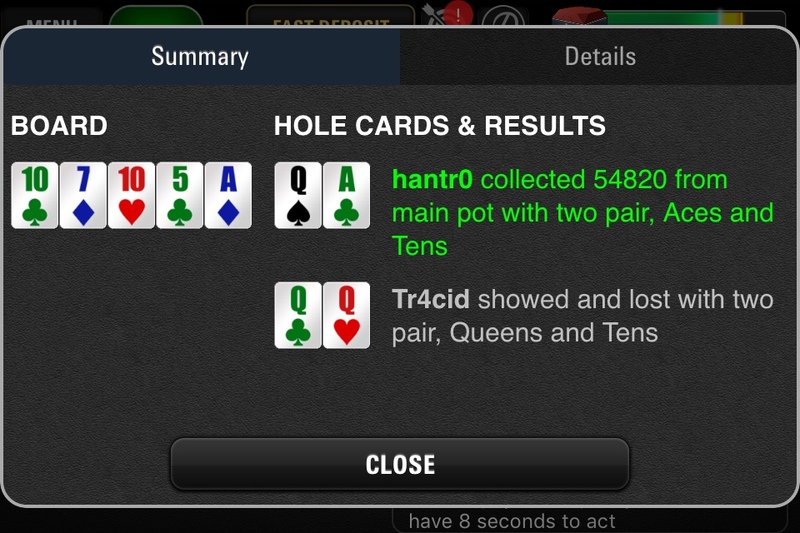 I saw 1/3 pot odds, 33%+ needed...At first look. Your chips are so low that your almost gone next time you hit bb. KTo is a fair hand to go with there and an easy call in that situation. There is ICM before the bubble and ITM. That's why the "tanking" is profitable (and unallowed). But, yes, it is not "as relevant". If we talk about some freeroll or $1 tournament. But if we play $20-$30, it is not so irrelevant. We must avoid the borderline hands, nothing special. Call vs shove , shove as well, post-flop moves also. 2-3% equity, very rare will have a difference. But not for shove...Very often we use a borderline hands for shove. There is ICM before the bubble and ITM. That's why "tanking"is profitable (and unallowed). I personally hate calling a shove with KTo but based on your stack size and pot odds there is really no choice here. It stinks but you need to go with it and hope for the best. Well, it was enjoyable reading all your thoughts & input, so thank you. Also have snapshove on my phone now, which will hopefully help develop more push/fold clarity in future! Do still need to source some charts for studying though! If you're interested as to what happened.. In the moment I was pretty convinced that it was an automatic call and even had a strong feeling that he was stealing but having had time to think about it since I'm fairly certain he turns over some kind of monster, over cards or dominating hand (even a combination of the three), we're drawing super thin and I feel that whatever the cards were, and whether or not it was right or wrong to call or fold, we would have lost that hand. So we folded and obviously he didn't show. You absolutely must call here... A fourth of your stack is already in the pot and villain's shoving range provides you with decent equity. If you fold here then what? You have 3 BB and what then? You are flipping with half his range and that is good enough. My calling range for this particular spot with 3BB is so wide, especially that you're ITM. If literally 1 person was afk and had 1 BB left, and he was about to get kicked out, so that the payout would step up a level, then yes, I'd fold. But this is a snap call. You might be a coinflip with 22-88, maybe 2 live cards against AJ, AQ. A lot of his range does crush you though :P I'd fold with 8BB+ here. You're itm and chip-deficient. And, I think your gut was right....he was stealing. No need for charts, ranges etc....this is a no-brainer call. Call. You are the short stack. You have nothing to lose. If you fold you are down to 3 blinds and you are getting ante'ed out every hand. It's always amusing reading your own old posts! For me at least.. Thanks for the feedback all! 4BB any two will do. Oh and like Columbo, one last thing; can anyone direct me to a source of reliable ICM charts please? …"
I am still trying to full wrap my head around ICM and proper use - currently rereading theory of poker by Sklansky. But I found this some time ago admittedly I have not used beyond the trial, but it seemed pretty good. if i was in that spot I would call for sure. 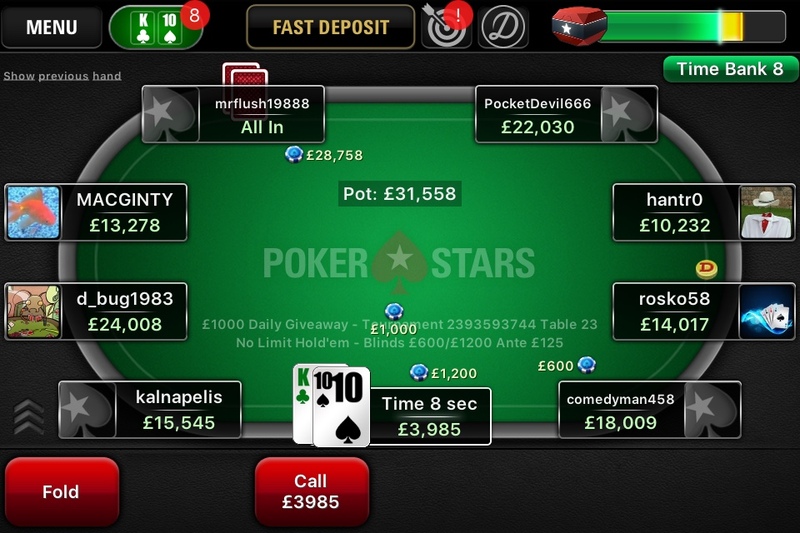 But if I had anywhere near £10k in chips, id fold and hope for better hole cards to follow. Did you get to see what he had when he shoved?